Ever heard of a makerspace? I hadn’t until one of the podcasts I follow, Hak5, talked about the concept and visited a couple. Following that, the “QSO Today” podcast (episode 75) talked about a connection to ham radio and the January 2017 edition of QST gave ideas for clubs participating in “Maker Faires.” Makerspaces, sometimes referred to as hackerspaces, hackspaces, or fablabs are shared resources for creative DIY types where people can gather to create, invent, and learn. Sound familiar? It should. Those are the foundations of Amateur Radio. 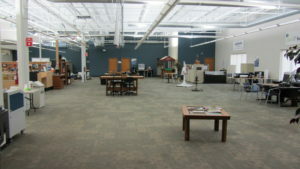 “These spaces combine manufacturing equipment, community, and education for the purposes of enabling community members to design, prototype and create manufactured works that wouldn’t be possible to create with the resources available to individuals working alone” states makerspace.com. Makerspaces are a relatively new idea with a leaning toward younger individuals. Spaces can be setup by a group of individuals, nonprofit company, or for-profit company who host spaces in rented buildings, schools, universities, libraries, or anywhere else the community decides to meet. The business model is similar to that of a gym membership where users of the space pay a monthly membership fee – somewhere in the neighborhood of $30-$50. This gives members access to the facility and its resources. 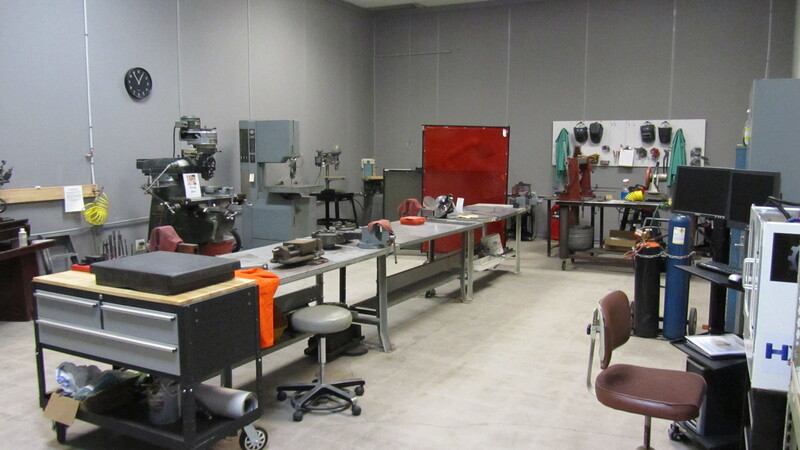 Those resources may include: machine shop, wood shop, welding shop, electronics lab, 3D printer, laser engraver, art supplies, blacksmithing, molding and casting, robotics lab, CAD software, glass blowing, space for experiments, and even entrepreneurship classes. The possibilities are endless. This model works because purchasing even one piece of equipment will run an individual more than the cost of a membership fee. Experts and instructors are available to help others learn how to use the equipment – on-site or through training classes. When you think about it, hams have been doing this for decades: borrowing radios, borrowing test equipment, and pulling knowledge from the larger community to accomplish a task. The community, as a whole, is a much more powerful resource when each individual shares their own knowledge with the community and builds encouragement for others. Look at all the aspects of the ham radio hobby. Some hams are good at soldering, surface mount, climbing towers, programming, tuning repeaters, fabrication, digital operation, software defined radios, Internet linking, portable operation, award chasing, DX, CW, QRP, building antennas – no one ham can do it all. It’s the reason most of us join clubs. Contribute to the community and learn from others. Getting ham clubs affiliated with makerspaces will promote the maker mentality of ham radio in a space where people who make stuff are already gathering. A club could hold licensing classes or a build project in the space. Others would see those sessions posted around the space, promoted on the website or Facebook group, or in an email to the makerspace members and community inviting others to join in. One club in our section is doing just that. 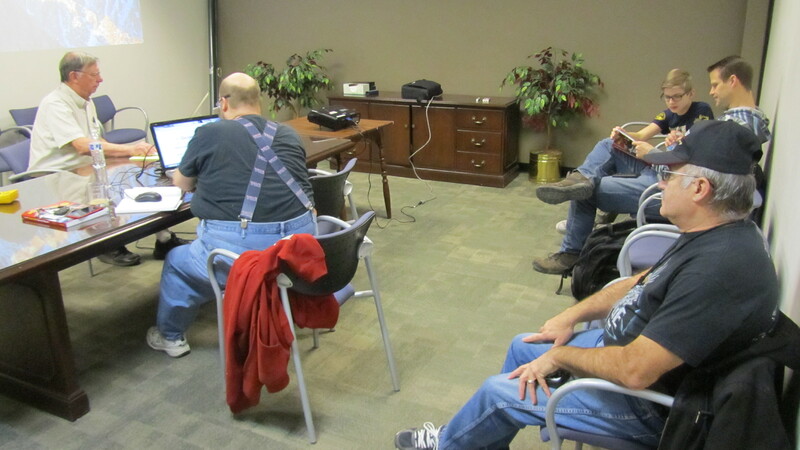 The Wood County Amateur Radio Club has partnered with the BiG Fab Lab in Bowling Green, Ohio. 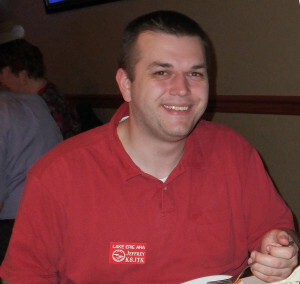 I am a Life member of the WCARC and joined this club while attending BGSU in 2002. 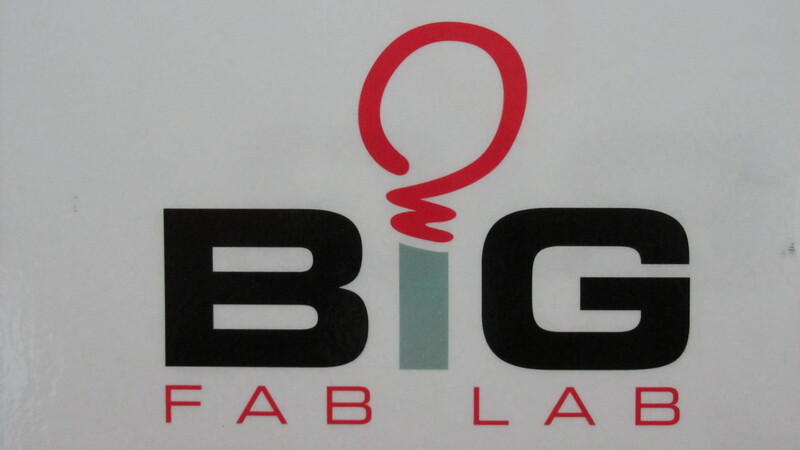 BiG Fab Lab, LLC is an open-access 24/7 workshop (or “Maker Space”) that serves people in the Northwest Ohio region. We provide the equipment, classes, private storage and studio space, and personal assistance to a membership community that allows them to prototype and develop any idea they can imagine. We are targeting people, schools, and businesses who have an interest in hands-on skills in a variety of crafting, design, manufacturing areas, and business incubation. We also provide retail space so that our members can test market and sell their creations! … Could you imagine the power of bringing business, students (K-12 & university), and community members together into one place? No walls, no silos, each sharing and collaborating with others to innovate, educate, and collaborate. Perhaps we could transform our region and maybe the world! 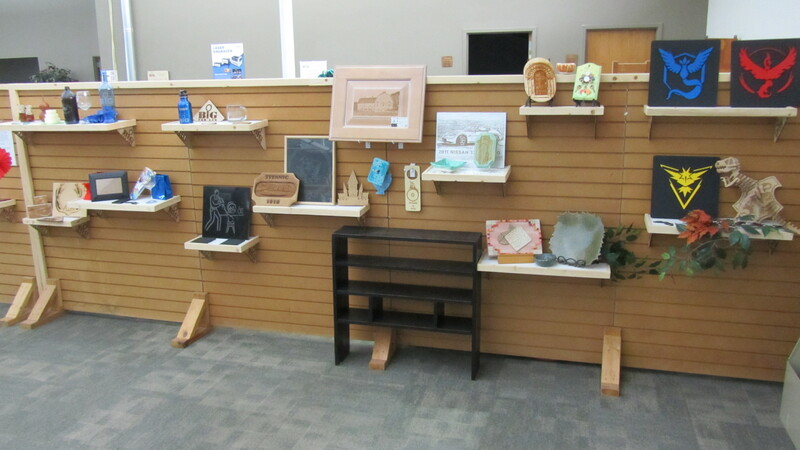 Located in the Woodland Mall off North Main Street, the $40 membership fee gives access to: a wood shop, machine shop, engravers, 3D printers, plotters, laser engravers, an arts and crafts space for ceramics, large cafeteria style meeting room, and they’re not done yet! Training classes are held for each piece of equipment in the lab. Once a member is trained and demonstrates the ability to safely operate the equipment, an achievement is added to their member swipe-card giving them access to that equipment 24/7. The BiG Fab Lab will be featured in an episode of the PBS show “The American Woodshop.” Scott Phillips, host of The American Woodshop, and the crew from WBGU-TV (a former employer of mine), taped episode 2409 set to air this month (March 2017). If you missed the show or it’s not carried by your local PBS station, past episodes can be found at http://www.wbgu.org/americanwoodshop/ and look for “Watch Episodes” near the bottom. In one of my return trips to visit the club, I got a tour from Bob Boughton – N1RB and Bob Willman – WB8NQW to see how this partnership came to be. Mark Bowlus, Founder and Director of the BiG Fab Lab, wanted to strengthen the presence of electronics in the lab. Doing some research, he reached out to the Wood County Amateur Radio Club. Over the past few years, the two have partnered and are developing a relationship promoting electronics and ham radio. 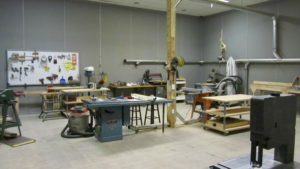 The club established a station at the Fab Lab which and will include VHF/UHF station and HF station. Of course, the work is never done and more is being added all the time. WCARC couldn’t be happier about the cooperation they are receiving from the Fab Lab. To date, there have been two ham radio licensing classes; one Technician and one General. A second Technician class was started in February of this year. The turnout has been better than expected because the BiG Fab Lab is promoting these classes on their calendar and Facebook group. Participants come as far away as Michigan. Students are charged $30 for the training manual, exam fee, and a monetary fee charged by the lab to use the space. 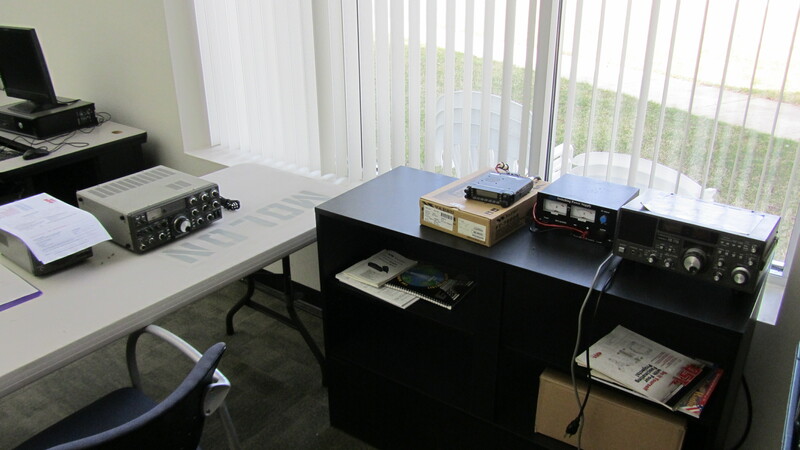 Future plans include building out the electronics area with test equipment. The club hopes to offer regular electronics and license training classes. 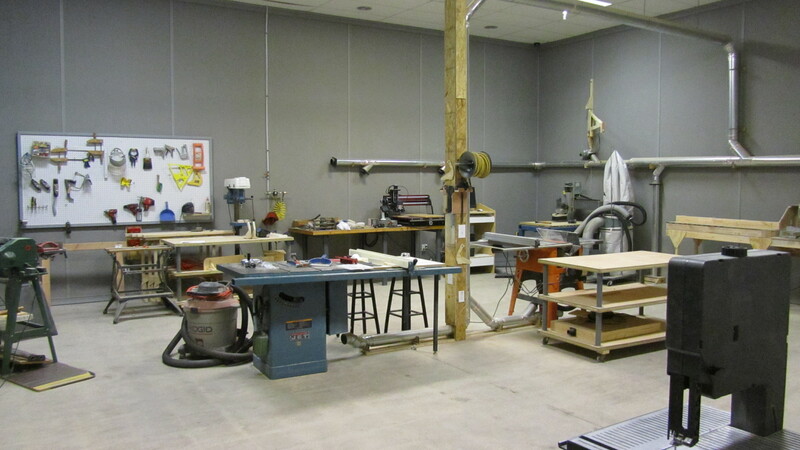 Once the training classes are in place, the Fab Lab has offered to waive the lab membership free for WCARC members! Additionally, the club plans to use the station as a base of operations, being more out in the public, in case of an emergency. Issues the WCARC had to address are: legal agreements and unauthorized access to the station. Legal agreements are incredibly important. Their agreement spells out and covers both the lab and club should either entity disband, dissolve, or go out-of-business; for example, what happens to the Club’s equipment. A club seeking to do the same would need legal counsel or know one willing to do pro bono work to write up a legal agreement. The BiG Fab Lab is a 24-hour facility. Having a station control operator at all times is unreasonable. The club, with the help of a partnering company, developed a method to allow the equipment to be turned on for anyone to listen. To inhibit transmitting, the microphone port will be disabled by default. Once a lab member becomes licensed or holds a valid amateur license, that achievement will be added to their access card just as if they were qualified on any other piece of equipment. When the member swipes the card with that achievement, the microphone port will be enabled allowing that licensee to transmit. Having access to a full shop is an amazing resource and opportunity to get ham radio out in front of like-minded people. If a similar shop is not nearby, opportunities for clubs to participate in “Maker Faires” are available too. The article in QST describes them as “one part festival, one part flea market, one part rock concert.” Makers are brought together in a hamfest-like environment to display their projects including: 3D printing, electronics and microcontrollers, robotics and drones, music and dance, homemade electric vehicles, art and textiles, cooking, science, woodworking, and blacksmithing. One theme that kept popping-up in the article: focus on making, not operating. Visitors are not interested in watching a ham making contacts or ‘get licensed’ pamphlets. Take an indirect approach to ham radio. Makers want to see Wi-Fi and Bluetooth used for wireless data links, long-range data systems (data modes, packet), microcomputers and inexpensive tablets, ADS-B, weather satellite receivers, spectrum analyzers, cable and antenna sweepers, and SDR – to name a few. Makers are already familiar with these technologies. Promote these topics – which lead to discussions on getting licensed. Explain ways ham radio can add value to their projects. A new wide area network technology called LoRa has makers really excited to be able to send bidirectional wireless data between 0.3 kpbs and 50 kbps over long ranges. Hams have been doing similar networking with packet and mesh. Each year, do a different project to keep people coming back. Some examples of projects include demonstration on the relationship between wavelength, frequency, and changes in VSWR. Explain how communication efforts in a recent natural disaster could have benefited by building an NVIS antenna for a particular band. Have a display prepared on antenna resonance with some hands-on activities. An SDR, antenna, and computer could show different signals on a spectrum display. Bring lots of Raspberry Pis, Arduinos, and circuit boards. Be patient as it may take some time to get a maker licensed. Who knows, they may become your club’s most active member. I challenge clubs to contact these organizations and form a partnership with a local makerspace or participate in a maker faire. 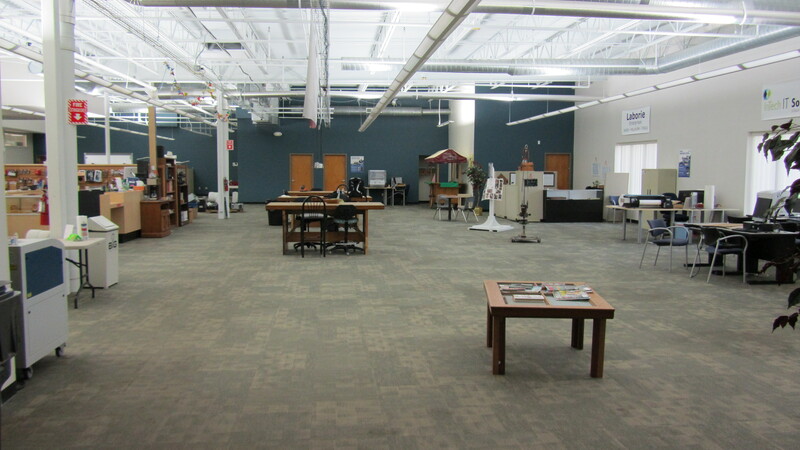 I found a number of maker spaces throughout the section including the Columbus Idea Foundry, dubbed “the largest makerspace on the planet” by Tech Crunch. Doing some searching on the Internet leads to maker faires in different parts of the state. 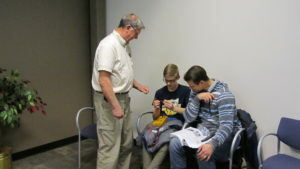 Not only is the Wood County Amateur Radio Club pioneering in the maker arena, the Alliance and Massillon Amateur Radio Clubs are involved with the University of Akron Wayne College 3 (UAWC3) Lab. 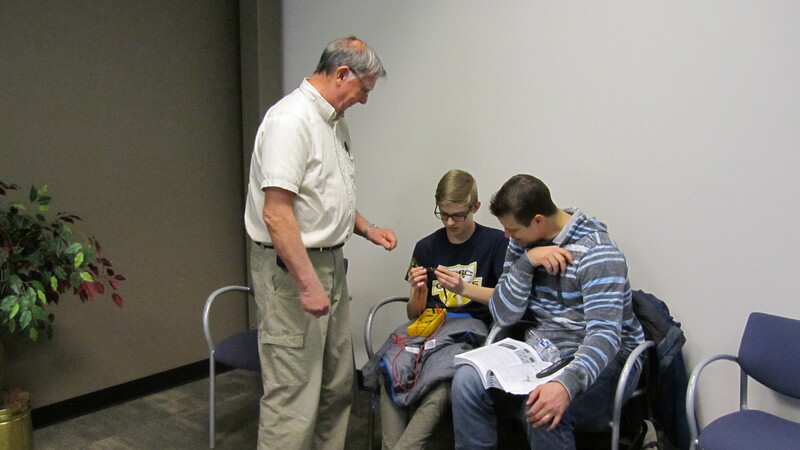 Efforts to get ham radio into schools for younger adults is great. I think the buy-in from administrators is far too high because it does not fit into their method of teaching to the standardized tests. I’ve been a part of conversations where the feeling that recruitment in scouting programs has not been as favorable as anticipated. Efforts could be better utilized by sharing our hobby with makers, who tend to be younger adults and college aged students with a similar mindset.